One year ago yesterday, we were moving into our apartment in Chicago. It’s crazy how much has happened in the past year. In honor of my time here, I decided to write a love letter to the city that stole my heart. I owe you an apology. This time last year, I wasn’t super confident about my year here. At the time, my hesitation made sense. I was leaving a job I loved and moving away from family and friends. The first time I got to visit the city was when we were looking for a place to live. As a self-proclaimed nomad, I’ve never felt a true connection with the other places I’ve lived. Imagine my surprise when I felt an instant connection with you. As soon as our moving truck pulled into our building, I knew I would love it here, and I can't really express why. I just felt a strong sense of belonging. After that first impression, my love for you only grew. Lake Michigan became my favorite place in the world. I feel closest to the Lord when I’m by a body of water. It serves as a constant reminder to me that no matter what happens in life, God is always present. If I’m feeling stressed, all I have to do is go to Lake Michigan to feel completely rejuvenated and at peace. The thing that has surprised me the most is how beautiful and clean you are. I could spend all day relaxing at a park, wandering around and looking up at all the stunning architecture, or taking a boat trip on the Chicago River or Lake Michigan. I don’t even have to leave our loft to feel connected to the city. 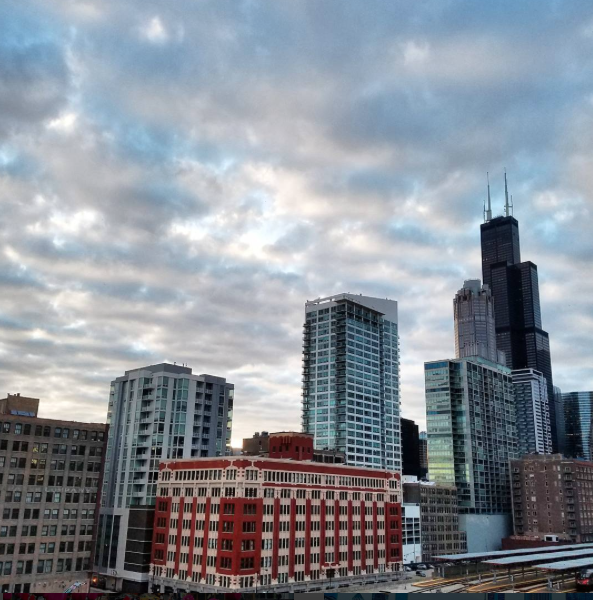 All I have to do is look out my balcony and take in another breathtaking sunset or admire the view of the Willis Sears Tower. Of course, I have to mention the amazing food. I don’t think I’ve had a bad meal since our move here. It’s nearly impossible to pick a place to eat when every restaurant sounds amazing. Chicago, I’m so thankful for you and our time here. You will always have a piece of my heart. A year ago, I was practically dragged here kicking and screaming. I never thought I would feel the same way when it was time to leave. Home is where the heart is, and I would follow Christopher anywhere, but I sure wouldn’t complain if someday we make it back to you. This is such a great post! I know that you weren't happy about moving to Chicago a year ago, but it sounds like it's been such a great time for y'all! I've loved getting to read about all the places you got to visit while you were there, and of course, the amazing food places you were able to eat at! Great post! I've been to Chicago at least a half a dozen times because it is a great city. The city is clean, the parks are great, the architecture is stunning, and it is so easy to get around. Glad your year in Chicago turned out to be such a great unexpected joyful blessing! Aww, this is great! It's been a really long time since I've been to Chicago. Your love letter makes me want to start planning a trip for the husband and I! I'm so glad you made such a strong connection to your year-long home! 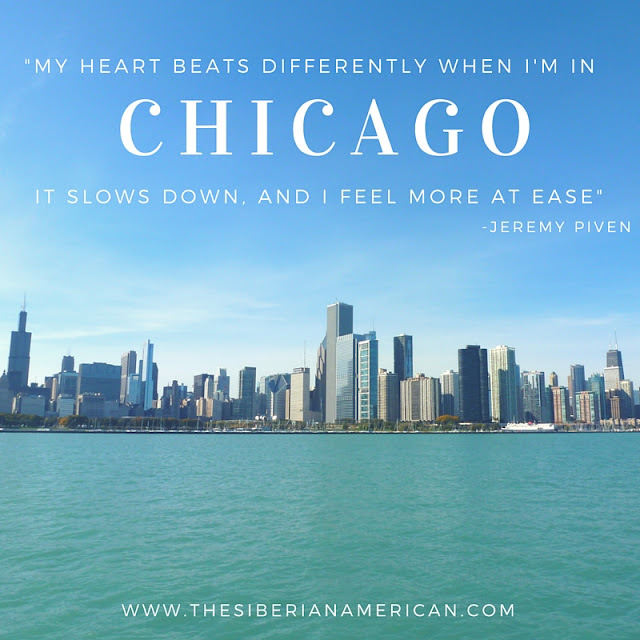 I love Chicago too! I've only visited once but I'll be back a few more times for sure. Thanks for linking up with us! I have never been to Chicago but I have always wanted to visit. So glad that you enjoyed your time there, hopefully you can go back one day! 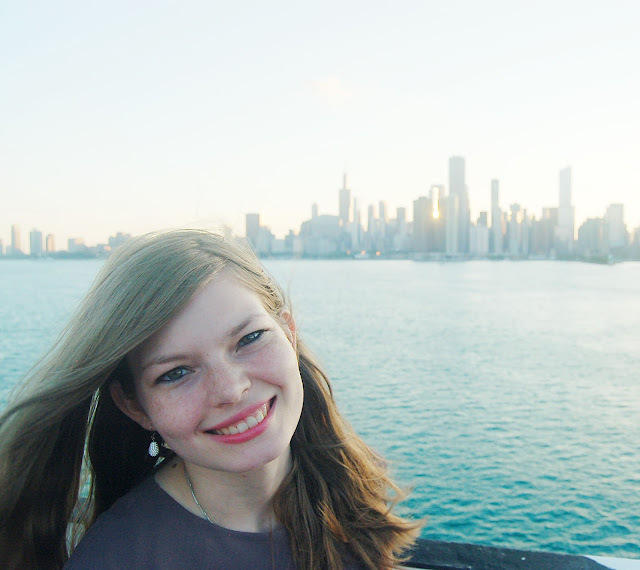 Chicago is such a great city and I'm glad you've had such a great year living there! I've never been to Chicago, but it definitely seems like a city you could love. I think I would enjoy it there. I love that we live so close to Philadelphia, because the food is amazing. I'm so glad that you fell in love with Chicago & have truly enjoyed your year there. I've never been to Chicago for more than a couple of days but I absolutely love it there. Whenever I think of moving back to the States, I always think that I would love to give Chicago a go...! Such a great city for sure!! Chicago is a great city! Awe so cute! I love that you learned to love the city and embrace it for its true beauty. I think every city has something beautiful and different to offer. This is coming from the girl who grew up in Georgia, near cities and oceans, and got dragged out to the middle of nowhere in Kansas lol. I hated it at first, but now that I'm living back in Georgia, there's things about KS I miss and reminisce about.